Size XS-XL (inches) XLarge - 45"x26.75" [+$31.00] Large - 38.5" x 23" [+$14.00] Medium - 27.75x16.5 [+$6.00] Small - 18.5" x 11" [+$3.00] XSmall - 9.25"x5.5"
- Comes with instructions and tips to install your graphic or lettering. - Includes a sample vinyl to test. 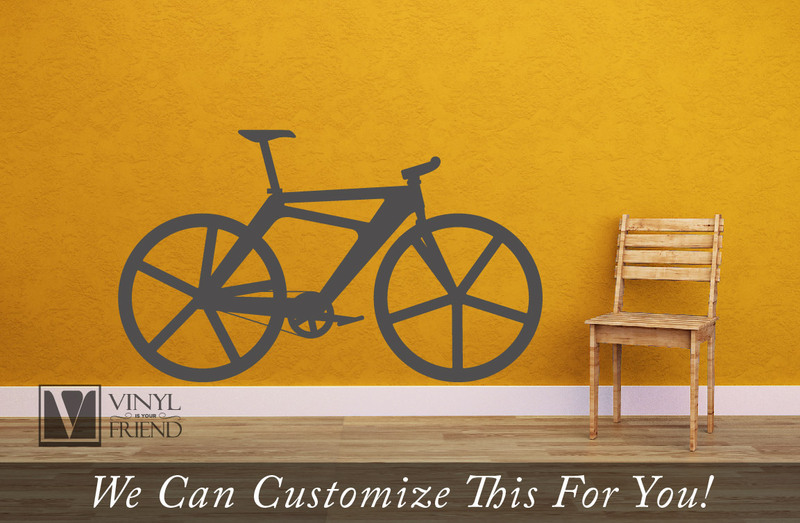 - Vinyl can be used inside or outside. *Please check the listing information for sizing. Not all pictures show decals to scale. 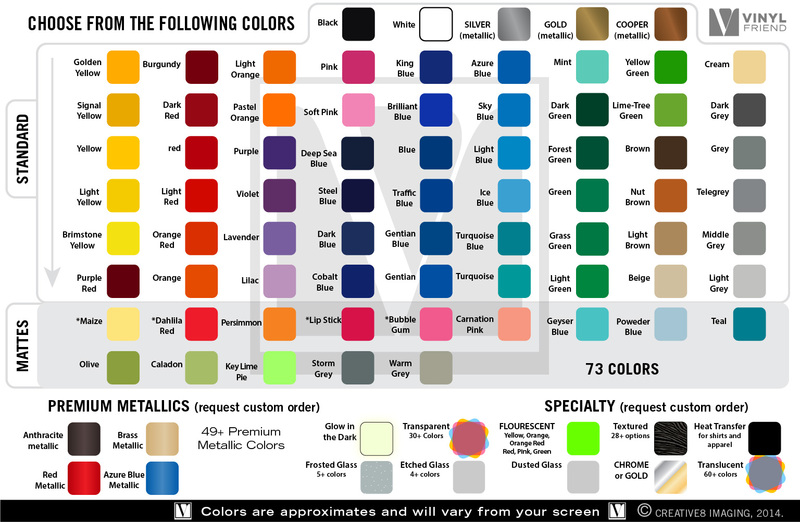 -Over 70+ colors to pick from! We also have premium metallic for a bit extra. -Colors are approximate and may vary from your screen. -Printed graphics: rated 3-5 yrs outdoors. Pantone color matching available. -Want it smaller or larger? - Want it in a different design, style or layout? 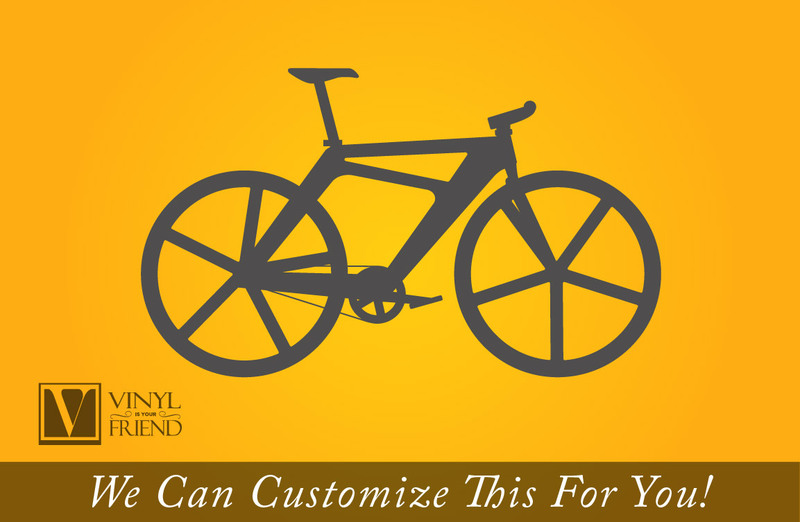 REQUEST A CUSTOM ORDER TO GET STARTED! -We offer 10%-40% discount on bulk and larger orders. Contact us for a quote. -Like us on Facebook to use discount code “friends” for 10% off your order. -For other discounts view our shop home for any discounts or specials. © Creative8 Imaging 2013. All Rights Reserved. Copyright Vinyl Friend. All Rights Reserved. eCommerce Software by 3dcart.